Considering the Jeep Cherokee or Jeep Grand Cherokee as your next new vehicle? Both are reliable SUVs with spacious five-seat interiors and features to boot, but which one has everything you need for Nickerson commutes? 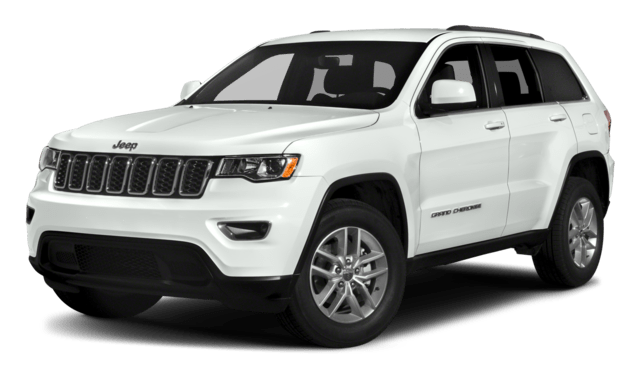 Compare the new Jeep Cherokee vs. Jeep Grand Cherokee with Allen Samuels Chrysler Dodge Jeep Ram to explore the differences in their dimensions, engines, and price. 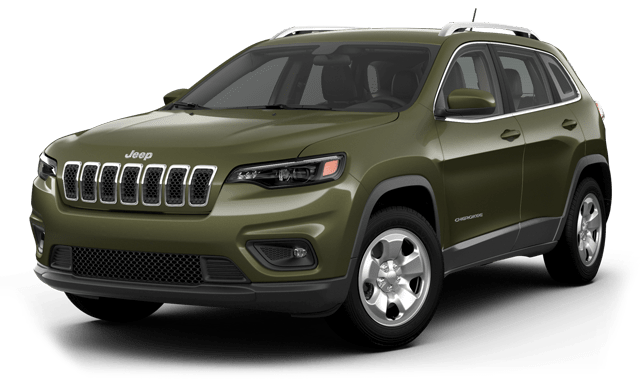 The 2019 Jeep Cherokee starting MSRP is $24,795, and you’ll have a choice of seven configurations: Latitude, Latitude Plus, Altitude, Limited, Trailhawk®, Trailhawk® Elite (4WD only), and Overland. The 2019 Jeep Grand Cherokee starting MSRP is $31,945, and you’ll choose from 11 configurations: Laredo, Upland, Altitude, Limited, Limited X, Trailhawk®, Overland, High Altitude, Summit, SRT®, and Trackhawk®. Both the new Jeep Grand Cherokee and Cherokee feature front-wheel drive as their standard drivetrain. If you’d like to increase your capabilities so you’re prepared for anything that Buhler roads might present, you may upgrade to a 4×4 system, such as Jeep Active Drive I. The Jeep Cherokee and Grand Cherokee don’t differ too much in terms of features. Whichever you choose, you’ll enjoy such standard features as Uconnect® with a 7-inch touchscreen, Apple CarPlay®/Android Auto™, a 60/40-split-folding rear seat for cargo convenience, and a 6-speaker sound system. You’ve probably already guessed that the Grand Cherokee has a bit more interior space, and you’d be correct. The Cherokee allows for up to 54.9 cubic feet of space behind the first row of seating, while the Grand Cherokee offers a maximum of 68.3 cubic feet. Jeep Cherokee Engines: The 2019 Jeep Cherokee features an exciting new optional 2.0L turbo 4-cylinder engine that is capable of delivering 270 hp and 295 lb-ft of torque. Your other engine options will be the base level 180-hp 2.4L 4-cylinder, or a 271-hp 3.2L V6. Jeep Cherokee Towing: When properly equipped, the Cherokee tows up to 4,500 pounds, and the standard transmission is a 9-speed automatic across all engines. Jeep Grand Cherokee Engines: The Jeep Grand Cherokee offers a bit more power, being a larger vehicle. The standard engine is a 295-hp 3.6L V6, or you can opt for the 240-hp 3.0L turbo-diesel V6, 360-hp 5.7L V8, or 475-hp 6.4L V8. If you opt for the Trackhawk trim, however, you’ll get a 6.2L V8 engine that produces up to 707 hp! Jeep Grand Cherokee Towing: In the Grand Cherokee, your transmission is an 8-speed, and your maximum towing capacity is 7,200 pounds when properly equipped. Compare the Jeep Cherokee and Jeep Grand Cherokee in Hutchinson! When you’re ready to compare these popular Jeep SUVs in person, contact Allen Samuels Chrysler Dodge Jeep Ram to schedule a test drive at our dealership near Sterling. Before you stop in, be sure to browse our rotating new Jeep offers to see if any apply!